Once you have finished your First Jump Course, you are ready to make that milestone first jump with your own parachute. This is the beginning of your 6-jump Accelerated Free Fall course. 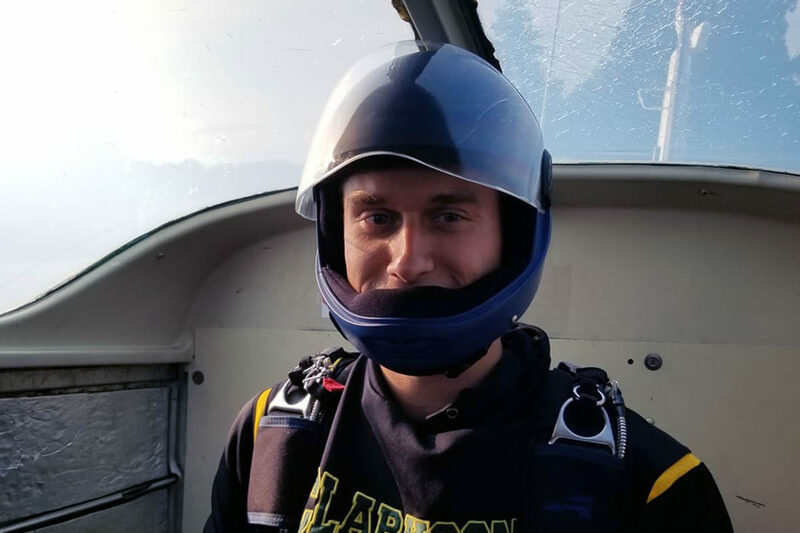 During AFF you will learn – with instructors at your side to help – the fundamental life-saving skydiving skills which all additional skydiving training will build upon. 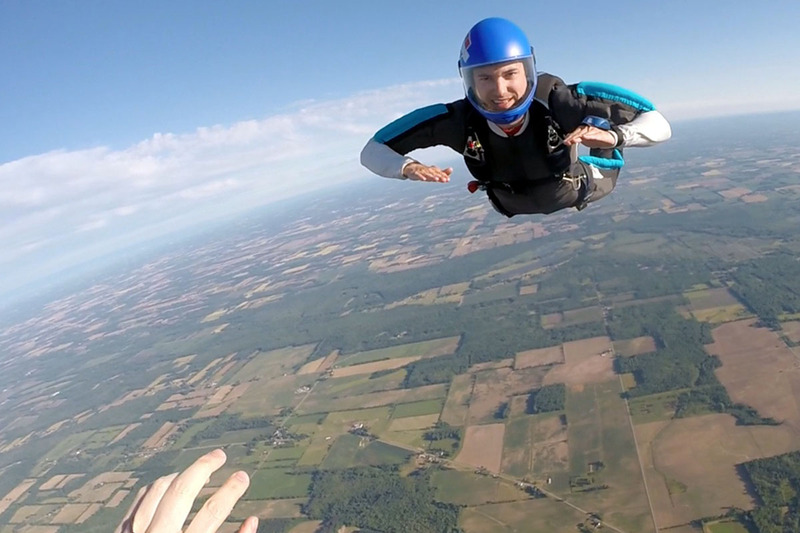 The first jump in the program consists of jumping with two instructors that act as “smart training wheels” in the air. They will exit the plane holding on to you and help you maintain stability in the air. Your instructors will give hand signals as necessary in order to help correct your body position in freefall (if need be). Finally, your instructors will remain by your side until it is time to deploy your parachute and assist you if necessary. 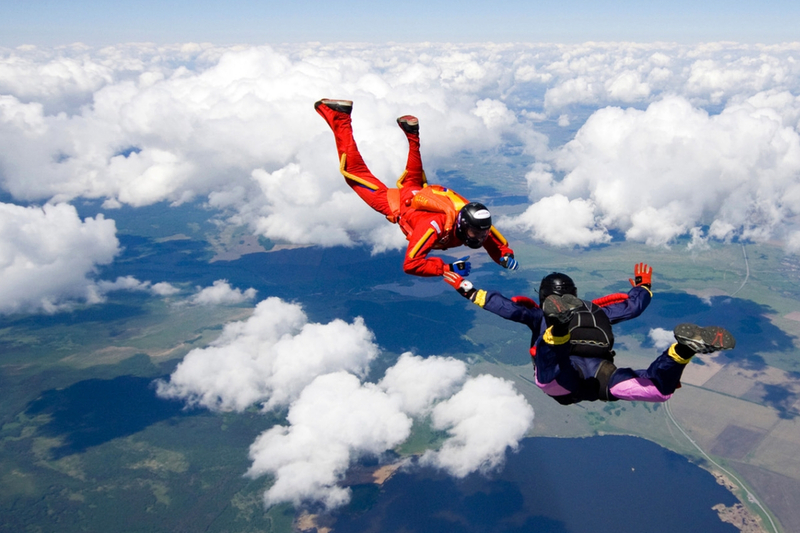 Once you have successfully completed this portion of the training, you are ready to move on to the final part of getting your “A” license: the Skydiving Coach Program. Jump with 2 Instructors - Call today to book! Jump with 1 Instructor - Call today to book! Save $250 with our AFF package. Call today to book!